Thank you for joining us for this issue of Marine Parents News. If this is your first time receiving the newsletter, welcome aboard, we're excited for you to be here! Sunday, September 27, 2015 was Gold Star Family Day. Learn more in our first article. Thank you for joining us and especially for your continued support of our brave men and women in uniform. On the evening of September 27, 2015, military supporters around the country gathered at dusk to light luminaries in honor of the men and women who have made the ultimate sacrifice in defense of our country. 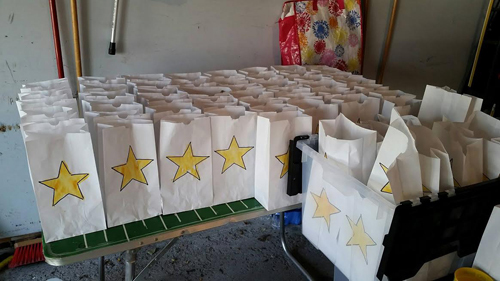 This year, many individuals, groups, and organizations from across the country signed our Gold Star Luminary Initiative pledge, representing at least 17 states. The two states with the most supporters were California, with 228, and Michigan, with 100. 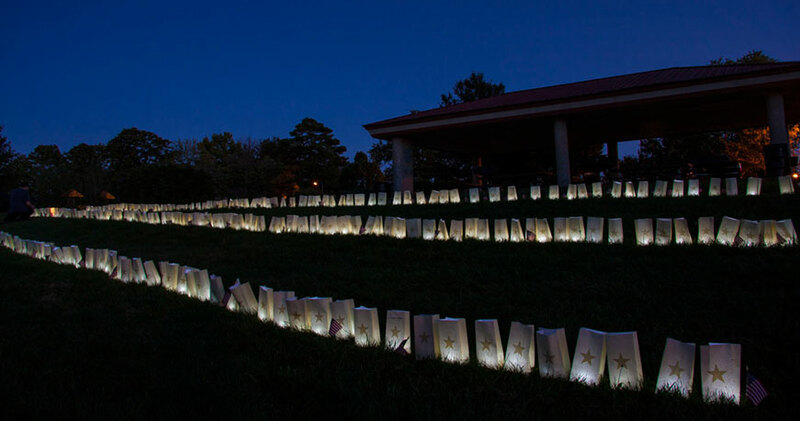 *Image info: Luminaries made by Sherry, a Marine Parents supporter from Michigan. "Remembering our Fallen" is an exhibit that honors the home-state heroes who have made the ultimate sacrifice on behalf of our country during the War on Terror. Missouri is one of 22 states to host such an exhibit. From September 20 until October 3, the Columbia Mall, located less than 10 miles from our corporate office headquarters in Columbia, Missouri, hosted the wall. After the exhibit came down last week, Debbie Murchison-Perri, the Missouri representative for Remember Our Fallen, met with MarineParents.com's Founder and Executive Director Tracy Della Vecchia. Murchison-Perri, who lost her son in Iraq, has been in charge of the Missouri exhibit since July of 2014. After taking down the exhibit and getting to know each other at the mall, Murchison-Perry and Della Vecchia, whose son also served in Iraq, stopped by the Marine Parents corporate office so Della Vecchia could present Murchison-Perri with a framed "Operation Freedom Ballot" (an outreach program that honored fallen heroes by preserving the historical first vote in Iraq by providing families of service members killed in Iraq an official Iraqi voting ballot ) ballot. The meeting also provided Della Vecchia with the opportunity to discuss the Gold Star Luminary Initiative with Murchison-Perri, who was excited to learn about it and is looking forward to helping us promote it next year. 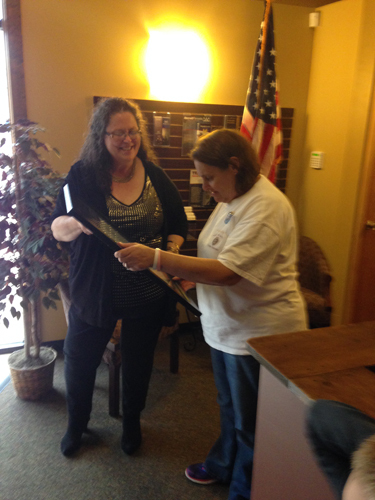 *Image info: MarineParents.com Founder and Executive Director Tracy Della Vecchia (left) presents Debbie Murchison-Perri, the Missouri representative for Remembering Our Fallen (right) with a framed "Operation Freedom Ballot" ballot. Hispanic Heritage Month runs from September 15 - October 15 and in recognition, we'd like to take this opportunity to highlight a notable Hispanic Marine--Kiki Camarena. Four years later, on February 7, 1985, while on an undercover assignment in Mexico, Camarena was kidnapped, tortured, and murdered by corrupt Mexican police officers working for drug lord Miguel Ángel Félix Gallardo . His body was found nearly a month later, on March 5 outside the small town of La Angostura, Michoacán State, Mexico. During his time with the DEA, Camarena received multiple awards for his service and, following his death, was awarded th e Administrator's Award of Honor, the highest award given by the organization. He was survived by a wife and three sons. 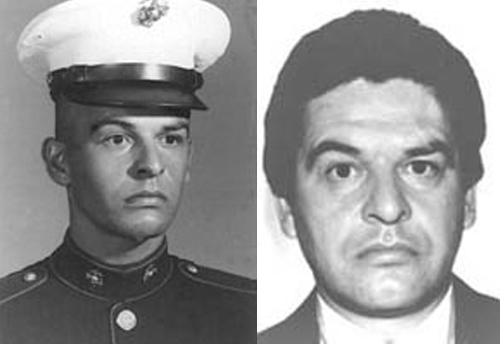 *Image info: Enrique "Kiki" Camarena Salazar's USMC (left) and DEA (right) photos (released). October 4 - 10, 2015, is National Mental Health Awareness Week, and we at Marine Parents would like to take this opportunity to join organizations across the country in recognizing the occasion. Since 1990, the National Alliance on Mental Illness, as well as participants across the country, including the Department of Veterans Affairs, have used the first full week in October to bring awareness to mental illness, as well as to fight stigmas which may be attached to mental illness, provide support for those suffering from mental illness, educate the public on mental illness, and advocate for equal care for those suffering from mental illness. 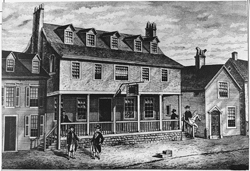 Two hundred and forty two years ago this week, on October 5, 1775, the Second Continental Congress held a meeting in Philadelphia, Pennsylvania, in which they used the word "Marines" on one of the earliest known occasions. The word was used in direction to General George Washington when it directed him to secure two vessels on "Continental risque and pay", and to give orders for the "proper encouragement to the Marines and seamen" to serve on the two armed ships. 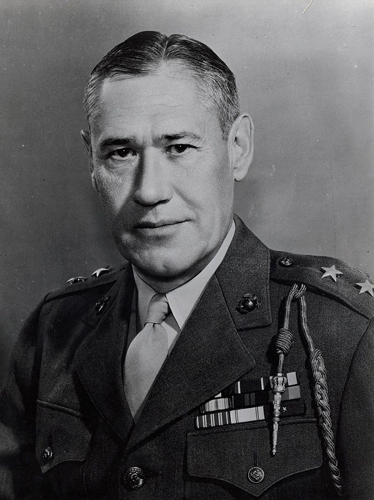 Seventy years ago this week, on October 6, 1945, U.S. Marines under the command of Major General Keller E. Rockey accepted the surrender of 50,000 Japanese troops in North China on behalf of the Chinese Nationalist government. 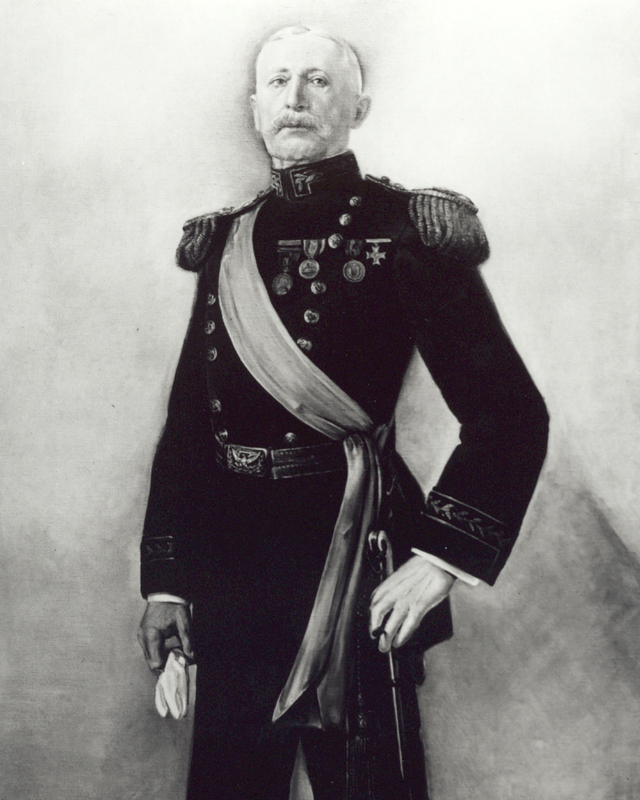 375 Marines under the command of future Commandant of the Marine Corps George F. Elliott captured the insurgent town of Noveleta, Luzon, in the Philippines during the Philippine Revolution. There were 11 Marine casualties. *Image info: George F. Elliott (USMC image). Ninety-eight years ago this week, on October 9, 1917 the 8th Marine regiment was activated at Quantico, Virginia. While the regiment didn't see combat in Europe during World War I, the regiment did participate in operations against dissidents in Haiti for more than five years during the 1920s. During World War II, the regiment was assigned to the 2nd Marine Division and participated in combat operations on Guadalcanal, Tarawa, Saipan, Tinian, and Okinawa, earning three Presidential Unit Citations in the process. 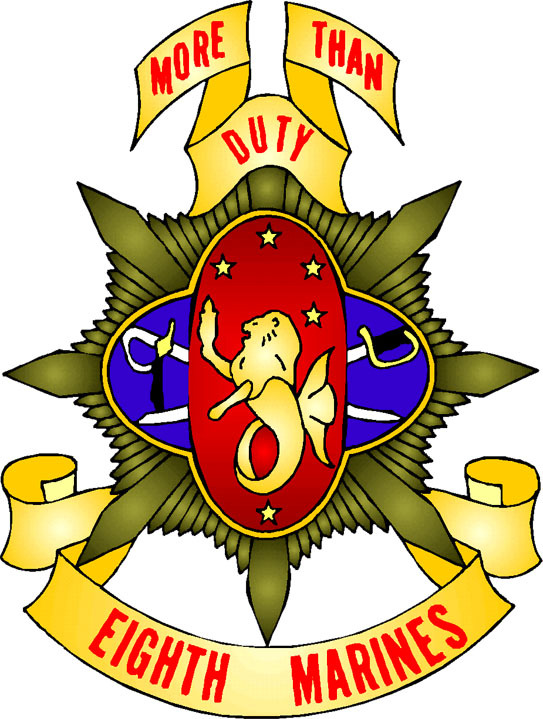 *Image info: Eighth Marine Regiment crest (USMC image). If you're a fan of Facebook, join one of our Official MarineParents.com Facebook groups to connect and share with other recruit and Marine Corps family members. Our group administrators are parents and family members of recruits and Marines who have been trained to oversee military groups for security and safety issues, and just as importantly, how to locate accurate information and resources. Graduation groups are set up by location (Parris Island or San Diego) and companies. For help finding the right group, you may join the poolee group or visit our list of groups and graduation dates. "I just wanted to say this group has been a life saver for me. The support and the guidance that I have received here is unbelievable. Thank you everyone for volunteering and helping us going through this season of our recruits' and our own lives. Blessings to all." "Lisa (3rd Bn, Co Leader, Lima Co, SD), you are a God Send!! Thank you so much for all you do...You make my life more bearable with so much inspiration! I thought it was hard when my 2 other sons left for the air force. This is by far harder since he is my baby and we are now "Empty Nesters". Thank you for making our journey a little easier!" "Renee (2nd Bn, Co Leader, Fox Co, SD), over the past couple of weeks I (we) have become Facebook addicts due to the vast amount of info that you and the admins of Fox Co. have been providing for us. We are able to better visualize what our son is experience and have more specific prayers bombarding heaven for him and his recruit brothers. The words 'thank you' don't even begin to cover our deep feelings of gratitude." Team Marine Parents™ (TMP) is a group of individuals, generally parents, family, and friends of Marines, who participate in athletic events nationwide to support our troops. The mission is to raise funds and awareness of the organization's outreach programs. 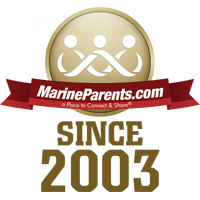 Currently, there are over 50 members of Team Marine Parents™ around the country. This week's TMP featured partic ipant is a service-disabled veteran and friend of the Marine Corps from Clearwater, Florida--Jon Norsworthy. While not a Marine himself, Christopher proudly served as an Army paratrooper for a number of years and now serves as a volunteer group facilitator for a PTSD Recovery Retreat organization, "Operation Restored Warrior", which is based out of Colorado. Additionally, Jon is the President & COO of Pruitt, Winston, & Brothers, a provider of global logistic services. Jon has been married to his high school sweetheart, Laura, for twenty four years, and they have three daughters, ages six, 11, and 13. 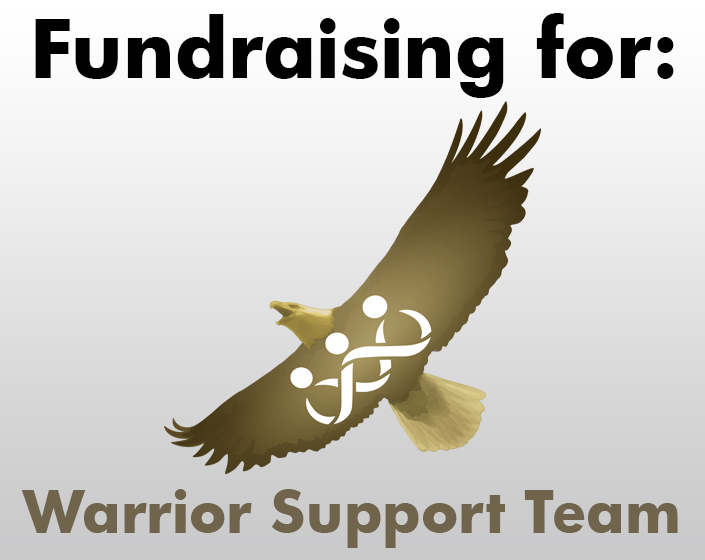 While Jon is still short of his fundraising goal of $500, we know that with your generous support he can get there in no time! Thanks for being a part of the team, Jon, and good luck later this month! For more than 12 years we've been supporting poolee, recruit, and Marine parents and family members. Now we've added Official MarineParents.com Groups on Facebook for parents and family members of Marines, recruits, and poolees. 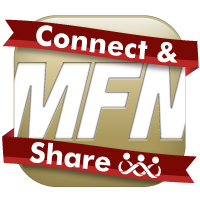 We invite you to come on in and join us in a Place to Connect and Share with other Marine Parents and family members. To see a full list of our Facebook state groups, please click here..
Shop Marine Corps hoodies and sweatshirts at the EGA Shop, where every purchase supports our troops! 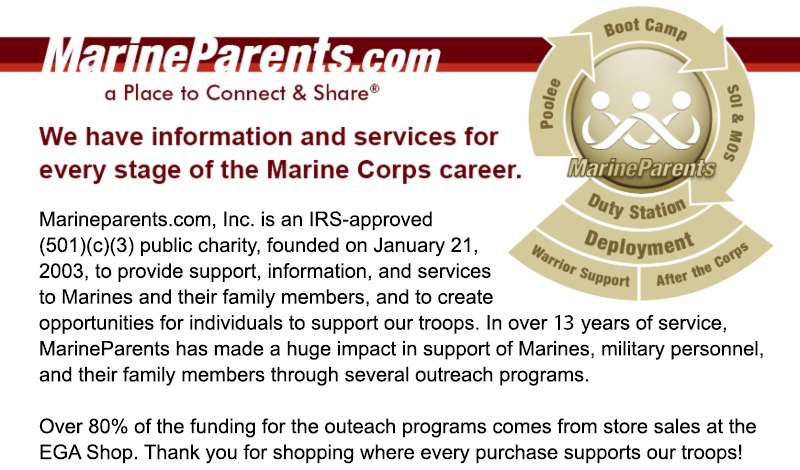 80% of the funding for the outreach programs of MarineParents.com comes from EGA Shop sales.